Mochi ice cream is a Japanese-style ice cream that is absolutely delicious. Essentially it’s ice cream wrapped within a thin, surgery rice dough. Mochi comes in many flavors at the store, such as green tea, red bean, strawberry, mango, and chocolate. 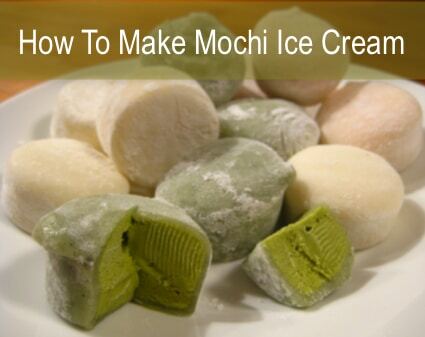 Watch this video to learn the simplicity of making Mochi.